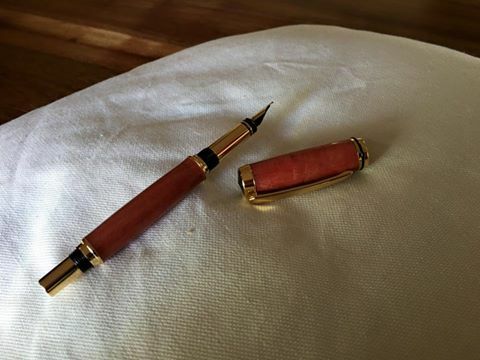 Fountain pen, Pink ivory wood, 12ct Gold. 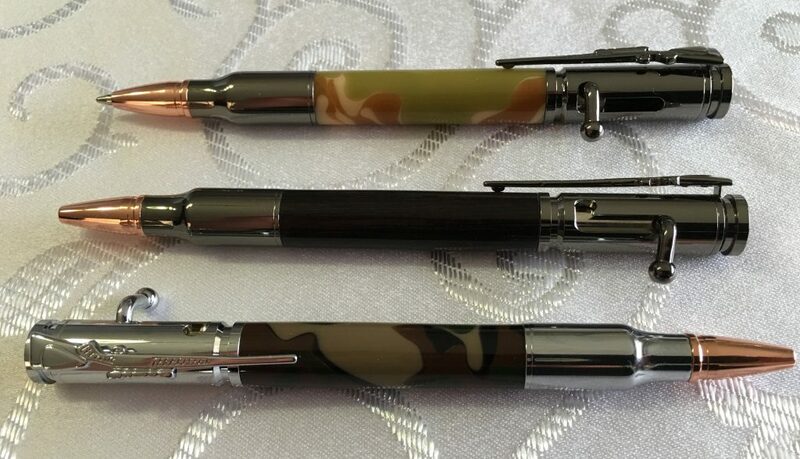 On their way to the Baviaanskloof. 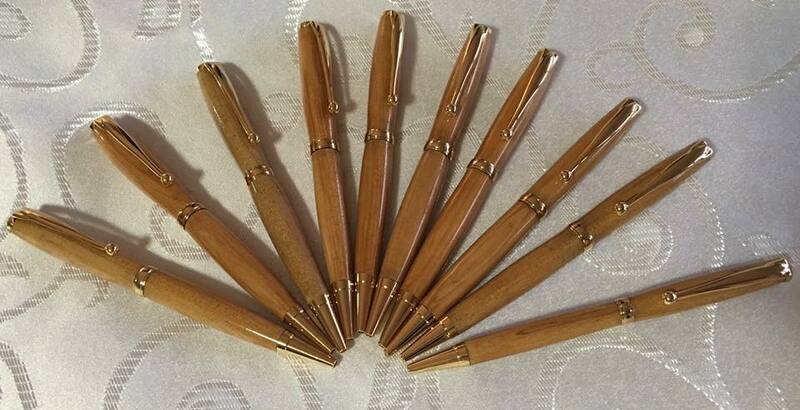 Pens made from Willowmore Cedar. 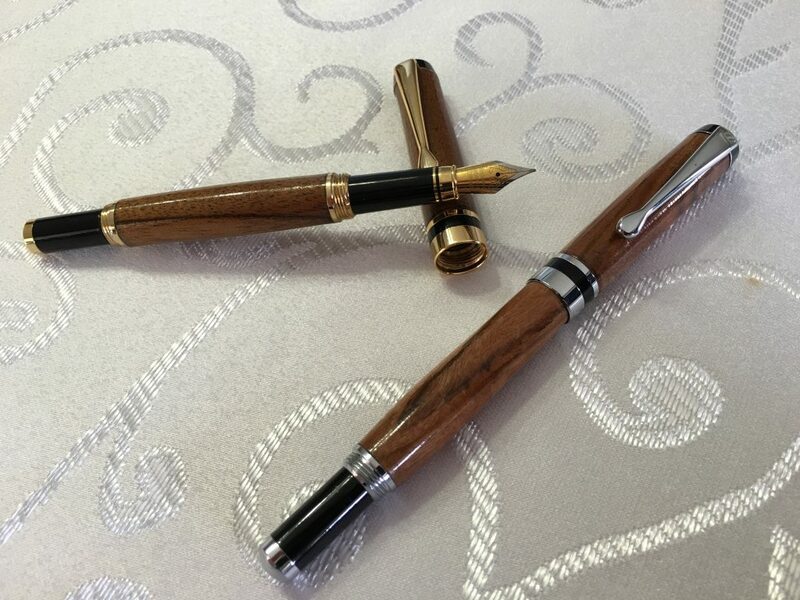 Wood is from tree stumps found in the Baviaans River washed away after the 1916 flood. 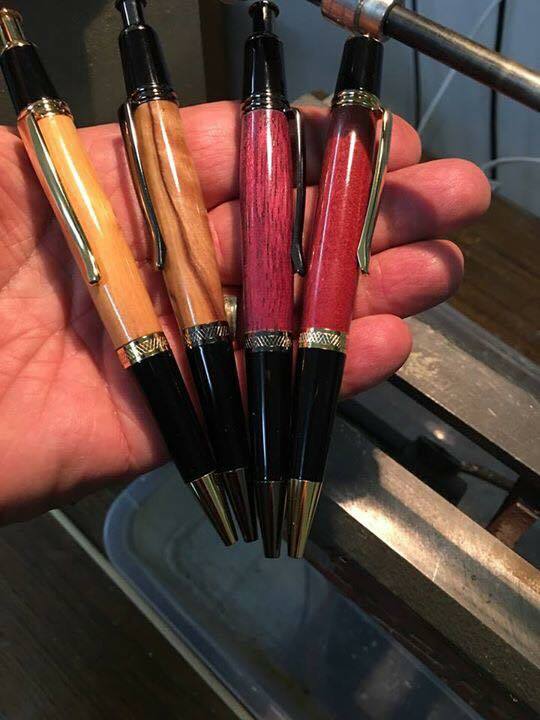 Four Wall street pens, from left to right: Olive root; Olive branch; Purple Heart; SA Red Ivory. 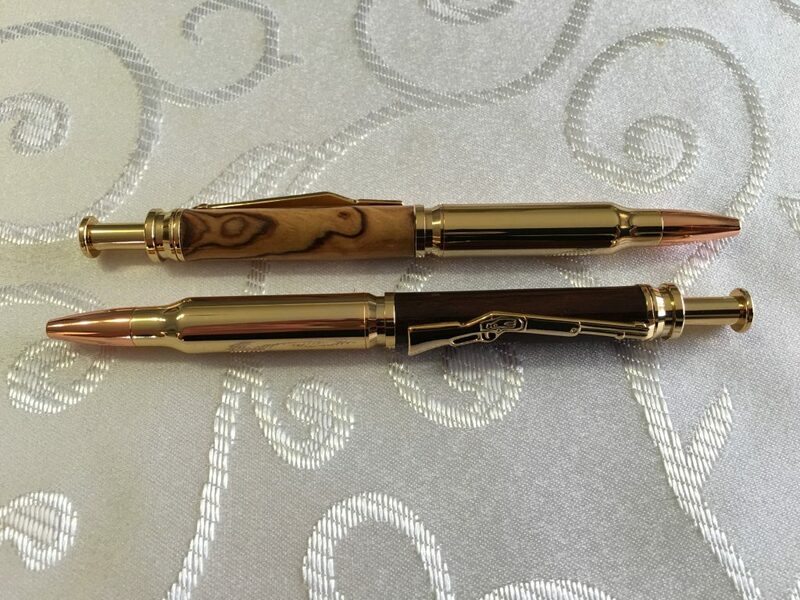 Two Wall street pens. 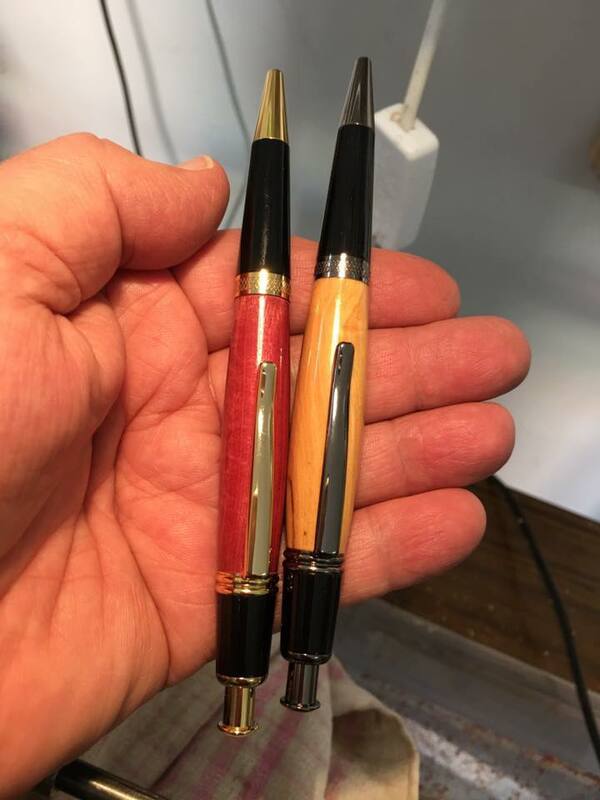 Left is SA Red Ivory and right is Olive Root (Olienhoutwortel).